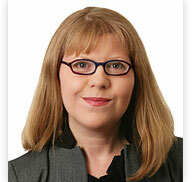 Christine M. Carson is a Partner in the Los Angeles office. She is General Counsel for Idyllwild Water District, Assistant General Counsel for Friant North Authority, and Deputy General Counsel for San Luis Rey Municipal Water District. She represents and advises public agencies on a broad range of issues, including Water Law, civil litigation, Labor and Employment Law, the Public Records Act, CEQA, the Clean Water Act, land use, contract formation and negotiation, drafting and amending ordinances, resolutions, and personnel rules, conducting wage and hour audits, and management trainings. Ms. Carson provides advice and legal support on water, wastewater and MS4 issues for most of the firm’s clients, including water quality, infrastructure, and rate-setting. She has represented county and municipal water districts, irrigation districts, mutual water companies, investor-owned public utilities, State Water Project contractors, city water departments, and transportation entities. She has litigated and advocated water rights, including groundwater adjudications, permit applications to the Division of Water Rights, and applications for extensions of time to maximize the complete use of water. Ms. Carson’s litigation experience includes many complex cases, including Proposition 218 and 26 challenges, Constitutional litigation, landslide and construction defect cases, and toxic torts. She has represented cities and counties in multiple-plaintiff cases, including a 500-plaintiff Fair Labor Standards Act case in U.S. District Court brought by police officers, sergeants and lieutenants. In her civil litigation practice, Ms. Carson has successfully obtained dismissals of numerous cases through motions for summary judgment, motions to dismiss and demurrers. She obtained the Labor Relations Academy Masters Certification from the California Public Employers Labor Relations Association, publishing “A California Local Public Agency’s Guide to Lawful Outsourcing.” Ms. Carson completed Advanced Commercial Mediation Training with the Association of the Bar of the City of New York and Mediator Training with the Institute for Conflict Resolution. At Loyola Law School Ms. Carson was an academic honors scholar, Sayre MacNeil scholar, and Law Review Articles Editor and Staff Writer. During law school, she also externed with Wm. Matthew Byrne, Jr., then Chief Judge of the U.S. District Court, Central District. Ms. Carson attended the Intensive Trial Advocacy Program at the University of San Francisco, and was a certified law clerk for the Riverside District Attorney’s Office, handling jury trials and preliminary hearings.